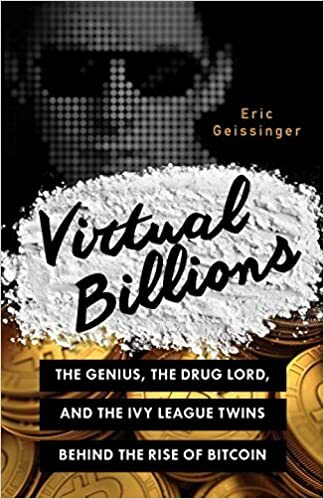 Equal parts The Social Network, Sherlock Holmes, and Breaking Bad, this absorbing narrative tells the stories of the reclusive genius who waged a one-man war against the global banking system (and he's winning); the quiet and affable computer geek who, until his arrest, profited handsomely from Silk Road, his online drug superstore; and the multitalented Harvard twins, who made a fortune from an intellectual-property suit against Mark Zuckerberg, and now are the chief promoters of Bitcoin as "the next big thing." Bitcoin has introduced us to coke-fueled coding gurus, anger-crazed hitmen-hiring millionaires, and canny "Bitcoin miners" avidly adding processing power to their chilly Icelandic server farms to generate millions of dollars every month. Absurd and almost unbelievable stories abound, and sweep the reader along through the living and breathing, passionate and paranoid insiders who made it all happen.